He rapidly rose to become the Irving paper's Legislature reporter and columnist, based in the provincial capital, Fredericton. He was recruited by Charles Lynch, then Chief of Southam News, and moved to the west coast to work. He became urban affairs reporter and columnist, frequently traveling Canada to cover city issues. He also covered the provincial legislature when in session. “Bannerman has the physique of a balding overweight 40-year-old. He gulps black coffee and water and pays for it in frequent trips to the washroom. He smokes too much. He seems to be living on a sharp edge, his eyes constantly seeking a spot to land. It must be worth it: "With my ego, I'd love to get out on the roof and yell out my salary but I better not." He is 30 years old and does not win the ratings battle against Webster. Bannerman operates out of a studio with a superb northern view from the 19th floor of the downtown Holiday Inn. Bannerman would have trouble convincing some guests to travel out to New Westminster. The studio console "the most sophisticated in the world”, was designed by an engineer who made maps of my hand movements. Bannerman projects the newshound personality”. Bannerman says "Drinking was never a compulsion for me, but it was part of my lifestyle, sitting around a table after my program was over, arguing and debating. I could go through a bottle a day, a bottle-and-a-half, sometimes two bottles a day and often I wouldn't bother to eat." Until 1988 he hosted a three hour forum, including investigative reporting, commentary, political and celebrity interviews, consumer assistance, health issues and public feedback. He left full time broadcasting in 1988, but returned to CKNW for much of the 1990s as a relief host. 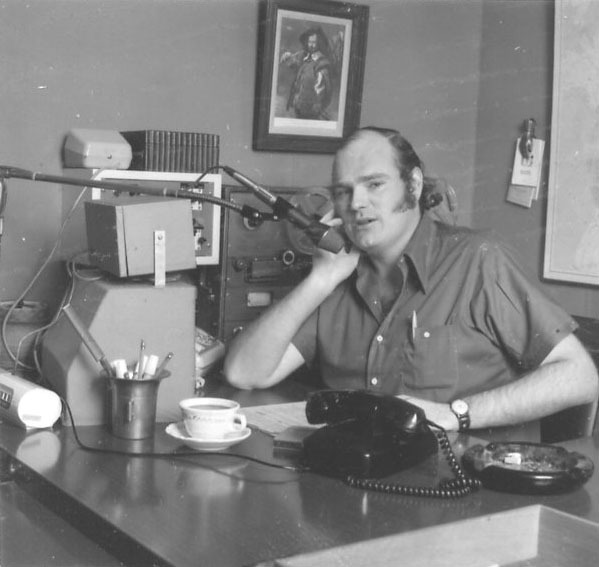 He had a daily three-minute editorial on NW and a 15-minute daily news and information program on STAR-FM, located in British Columbia's Fraser Valley. Over the years he has been published in Canadian newspapers and he has appeared as a guest on local, regional and national television shows. Guests over the years have included Prime Ministers and many Premiers to Arab Princes, show business celebrities, two former heads of the CIA, authors and business leaders. Bannerman's work as a reporter has exposed fraudulent business practices, assisting police in obtaining criminal convictions. He has conducted broadcasts from behind the walls of prisons, and, on three separate occasions, he negotiated hostage taking incidents.